Published March 8, 2019 at 5:04 p.m. 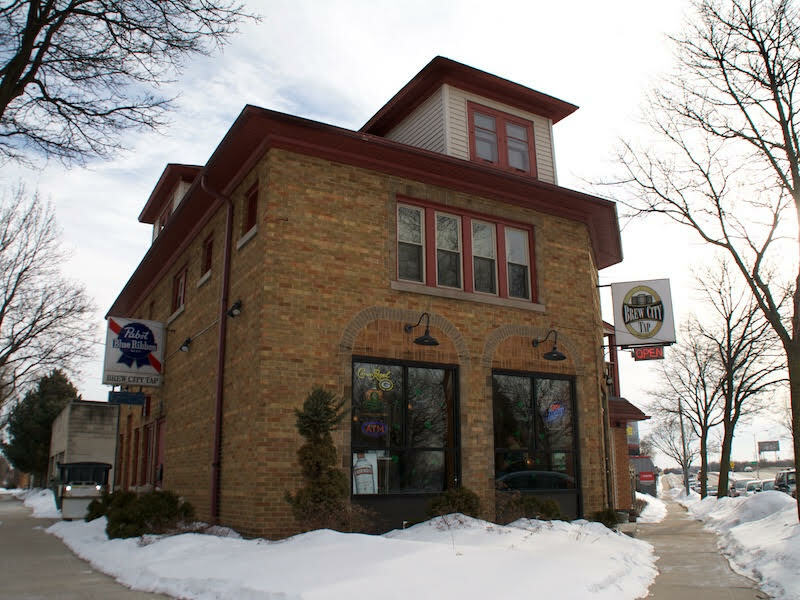 Brew City Tap, 3105 W. Forest Home Ave., has a modern appearance with large windows, pool table and a recently-constructed patio, but the history of the tavern remains everywhere. Including sitting at the bar. The bar originally opened in the 1920s as Eddie's Log Tavern, thus the back of the bar is made from logs in tribute to the first iteration of the space. The corner tap later became Gil and Eileen's and, at that time, there was an attached barber shop, now a spacious game room. "Back then you could have a beer while waiting for your turn for a haircut," says John Schoenrock. 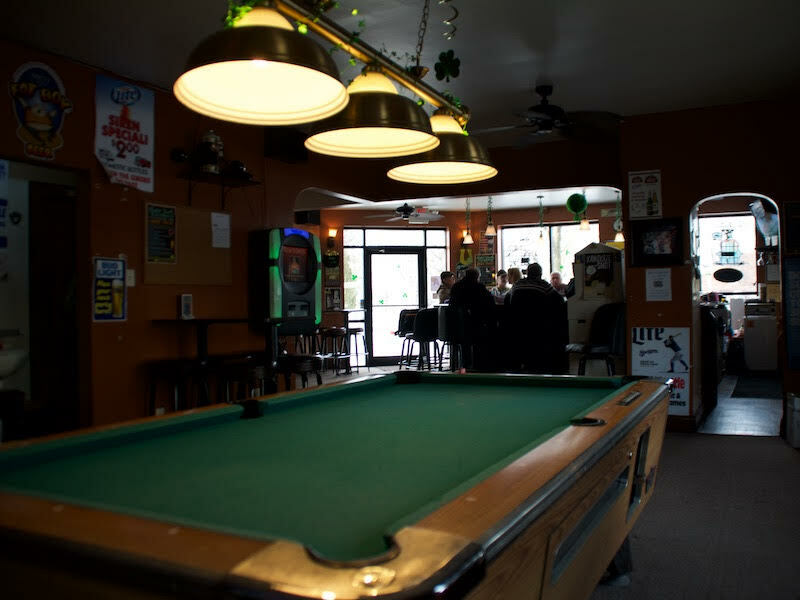 On a recent wintery Thursday afternoon, Schoenrock – who says his last name is "Shamrock" during the month of March – sits at the horseshoe-shaped bar sipping a Pabst and sharing stories about the old days. Schoenrock bartended there in the 1970s when it was still Gil and Eileen's. He also talks about a dumbwaiter that used to exist behind the bar. Current bartender Debby Daniels elaborates on the purpose of the dumbwaiter while tapping a Coors Light. "A million years ago there was a kitchen upstairs and they would make chicken dinners up there and send 'em down to customers on the dumbwaiter," she says. "There was also signs in the windows that said something like 'immediate seating for ladies.'" 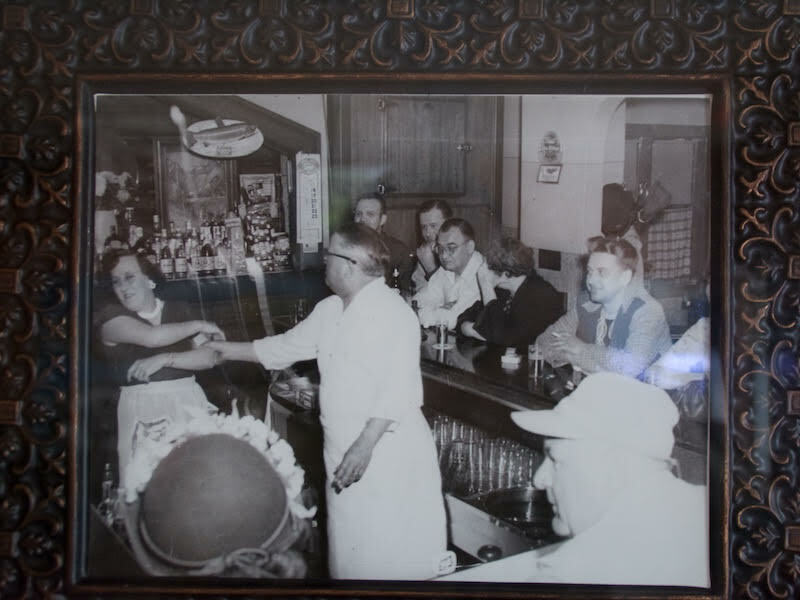 Black-and-white photos on the wall further document the tavern's past. In one of the photos the streetcar cable line is visible and shows a much-larger front yard at the bar. "They got rid of the streetcar and widened the street," says Schoenrock/Shamrock. "We lost a lot of the yard." 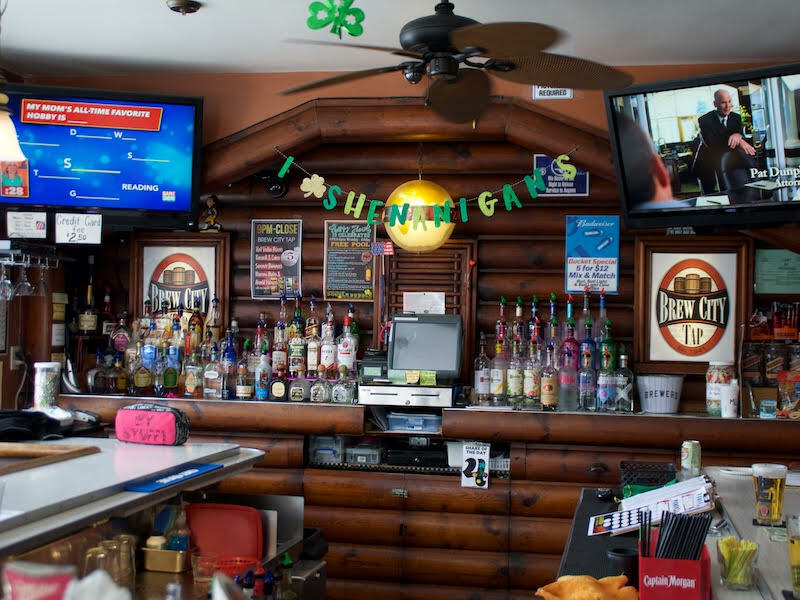 In 2011, Mark and Carolyn Silber bought the bar, remodeled it and renamed it. The bar is also known for Daniels' Bloody Marys. Although she will make one with vodka, she highly recommends gin as the main spirit. Daniels mixes her Bloodies with extra pickle juice and horseradish and garnishes with a pickle spear, string cheese, marinated mushroom, sausage link and a pepperoncini. "It ain't nothing like a Sobelman's, but I don't want a whole chicken in my Bloody anyway," says Daniels. Daniels says if it were up to her, she'd put in a few lines of craft beer to the eight-tap selection. Brew City Tap has an assortment of craft beers in bottles, but all macro beers on tap. "They'd never have it though," says Daniels, nodding her head at her customers. "They like their regular beers and shots." A few of Daniels' Brew City Tap customers drank at her dad's bar, Ron's Pub, that was around for decades on 60th Street in West Allis. It's currently the home of Barcode. "We had some good times in there, Ron's Pub. Good people," says a customer sitting across the bar, then takes a shot. "Just like in here." Brew City Tap is open seven days a week. Monday-Thursday the hours are from 2 p.m. to bar close. Friday-Sunday the bar opens at noon, unless there's a noon Packers game in which case it opens at 11 a.m.